Gregory W. Coleman, a Florida Bar Foundation board member and past president of The Florida Bar, and Florida Bar Foundation CEO Bruce B. Blackwell accepted a $75,000 gift from Chris Searcy, Greg Barnhart and Sia Baker-Barnes of Searcy Denney Scarola Barnhart & Shipley, P.A. Searcy Denney Scarola Barnhart & Shipley P.A. has made a $75,000 gift to help fund the revival of The Florida Bar Foundation’s Summer Fellows program, which places second- and third-year law students at civil legal aid organizations to get first-hand experience in public interest law. 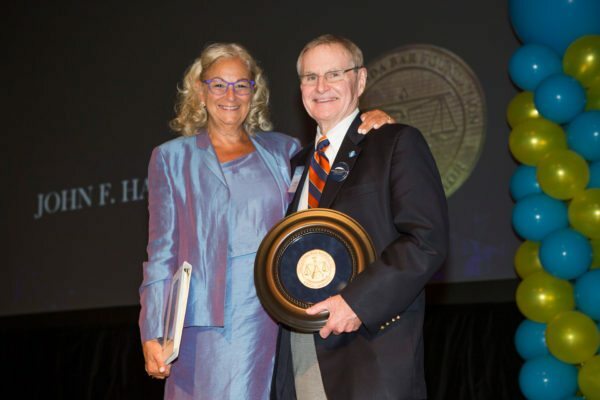 Past Florida Bar President Greg Coleman said the origin of the gift is also an example of Searcy Denney CEO Chris Searcy’s exemplary ethical standards. The funds came from attorney’s fees the firm was awarded in a “friendly” suit against The Florida Bar that sought to clarify advertising rules enacted several years ago related to websites. The firm had been unable to get a definitive answer from The Florida Bar as to whether or not their site was in full compliance. When Coleman was president of The Florida Bar, he and Searcy had worked out a resolution to the litigation, but meanwhile the court ruled in favor of Searcy Denney, and the firm received a $75,000 fee award. The donation will fund 11-week legal aid fellowships through which law students will develop projects in areas of identified needs, such as homelessness, juvenile justice and medical-legal partnerships. The Foundation had suspended the Summer Fellows program in 2012 due to lack of funding after the organization’s major revenue source, Florida’s Interest on Trust Accounts program, fell by more than 90 percent. Last year the Foundation began raising funds to restart the program, which began in 1995. The cost of the program is about $150,000 a year. 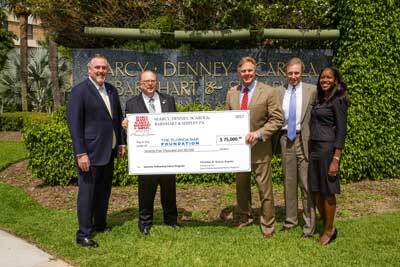 With Searcy Denney’s gift the Foundation has raised $130,000 in gifts and pledges to date. The goal is to relaunch the program in 2018 with funds in hand to maintain it for at least three years. 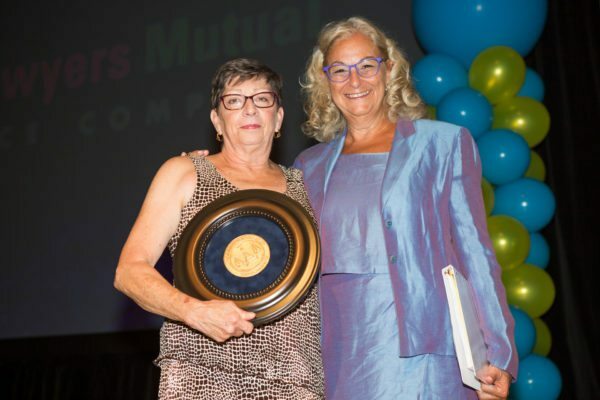 Based in West Palm Beach, Fla., Searcy Denney is known for its philanthropy and its sponsorship of “Time to Care” public service announcements, which have provided local charities with air time since the 1980s. Past participants in the Summer Fellows program have said it encouraged them to pursue public interest careers and gave them a greater appreciation of the importance of civil legal aid. 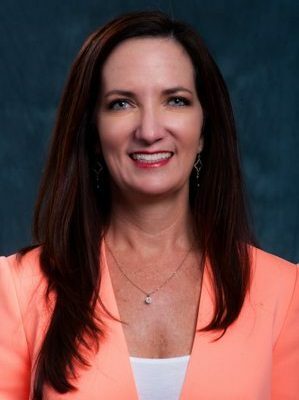 “Legal services programs are vital to the well-being of every community because there is no other type of organization with the time and resources and inclination to help poorer groups and lobby for greater change on behalf of those communities,” a past Summer Fellow from Florida State University’s law school reported in a recent Florida Bar Foundation survey. The mission of The Florida Bar Foundation, a 501(c)(3) nonprofit organization, is to provide greater access to justice. Through strategic grant making, the Foundation funds civil legal aid and projects to improve the administration of justice and increase the effectiveness and efficiency of the legal aid delivery system. In addition to providing funds directly to Florida legal aid organizations, the Foundation engages in catalytic philanthropy by investing in training, technology, technical assistance, assessment and capacity-building for the legal aid delivery system and works to develop and expand innovative pro bono initiatives.